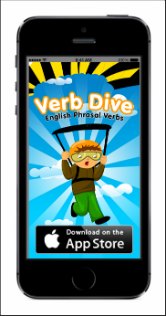 This phrasal verb has a bunch of different meanings and I am going to teach you all of them. Today's phrasal verb is "turn in." I like to turn in early so that I can wake up with the sunrise! More examples: "By midnight I am usually ready to turn in." "What time are you turning in tonight?" or "I'm exhausted. It's time to turn in." Meaning: We use this verb when we say that someone informs the police about the person who committed a crime. Someone can also turn himself in. Examples: "After running from the police for 6 weeks the fugitive turned himself in." or "Who turned the criminal in to the police?" Meaning: This expression is used a lot in schools when you talk about submitting a report or a project to a teacher. Grammar: We can separate the verb by saying "I need to turn my project in." or we can say, "I need to turn in my project." Examples: "When do you need to turn in your final thesis?" or "How late can I turn this in and still get academic credit for it?"